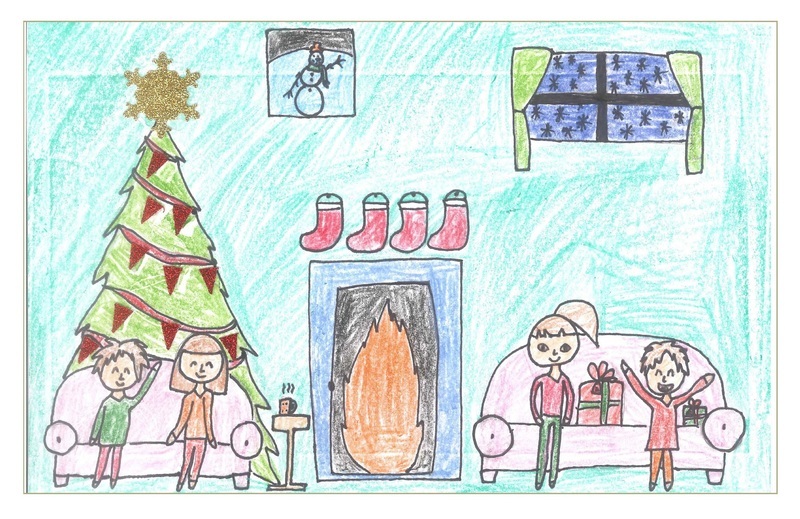 Ella Wood, a fourth grader from South Ridge Elementary School, is the first-place winner in this year’s Superintendent’s Holiday Greeting Card Art Contest for the Ridgefield School District. 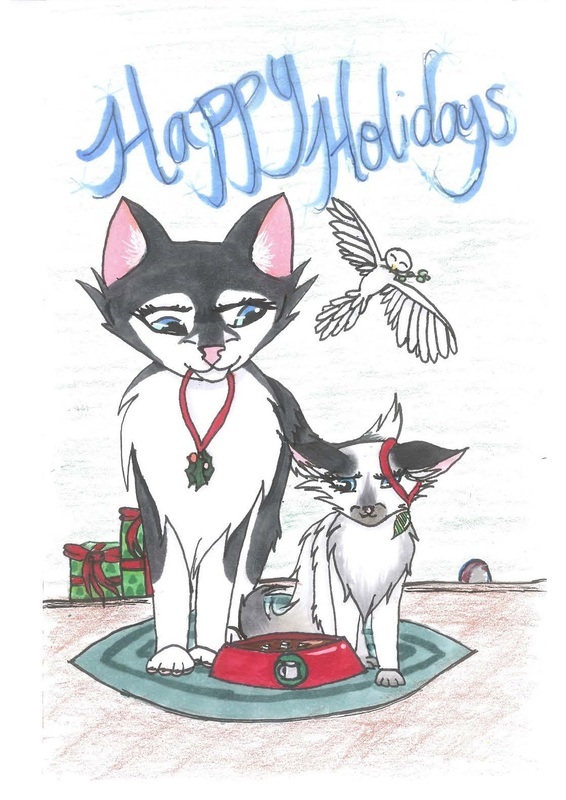 Her artwork was selected by judges as the entry that best exemplifies “Together for the Holidays,” this year’s contest theme. 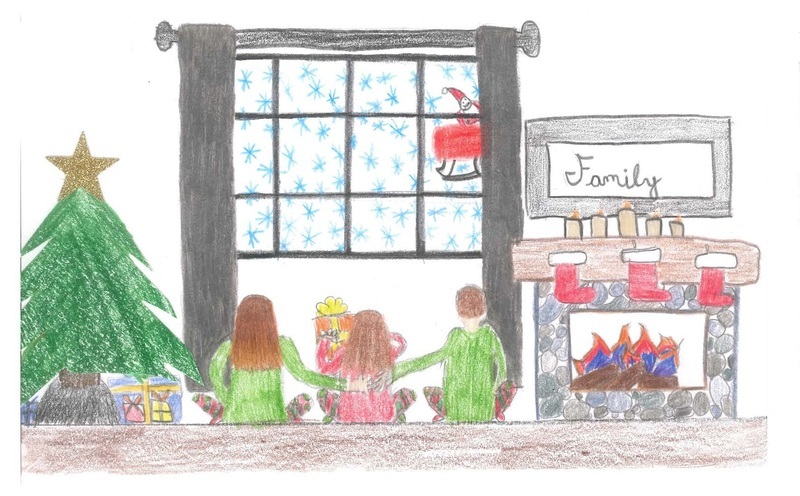 Ella’s winning design will grace the cover of the district’s holiday greeting card, which will be mailed out to school districts, public entities and private businesses on Ridgefield School District’s holiday mailing list. As the first-place winner, Ella receives a $50 cash award. Three artwork entries were also selected for Runners-Up honors. These entries were submitted by Violet James, a second grader from Union Ridge Elementary School; Emma Waddle, a fourth grader from South Ridge Elementary School; and Adara Grieco, a sixth grader from Union Ridge Elementary School. Each student receives a $25 cash award for their winning design. All four students will be recognized at the district’s regular school board meeting on Tuesday, December 12. 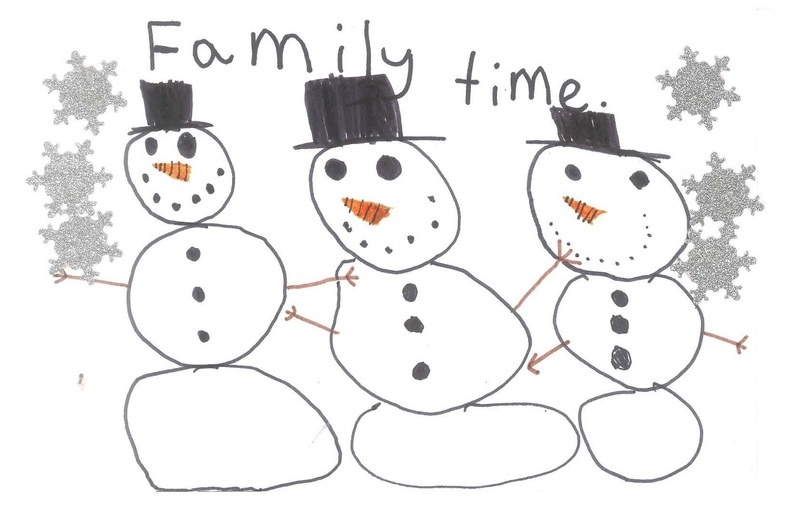 The Superintendent’s Holiday Greeting Card Art Contest, now in its fourth year, was first launched by the Ridgefield School District in 2014, in partnership with the Ridgefield Art Association to promote student creativity and encourage student appreciation of the arts.